A better package than this was hard to imagine in 1972. The double album covers all bases. It’s a single-collection, it‘s a best of, it’s outtakes, it’s alive, it’s a gorgeous sample of the band’s output – two long playing records in an elaborate gate-fold “leather bound” sleeve that contains a large colour photo booklet with over 50 photos of the band. However, the ambitious project has one drawback: Compromise. The four sides are split up in themes leaving almost no room for B-sides. They also picked the wrong version of “Teacher” (the one from “Benefit” rather than the single-version). But these slight flaws do not stop “Living In The Past” from being an impressive journey through the band’s career up to that point. They flew in on the coattails of the British blues boom in the late 60s, breaking away from it almost before they landed (say goodbye to Mick Abrahams), leaving Ian Anderson completely in charge. His sources of musical inspirations were numerous and with Jethro Tull he tried to blend them all together. The electric blues was joined by electric British folk, acoustic folk, classical music, hard rock and soft rock, singer-songwriter stuff, elements of pure pop. There were even glimpses of the concept-album monster – and a touch of jazz. 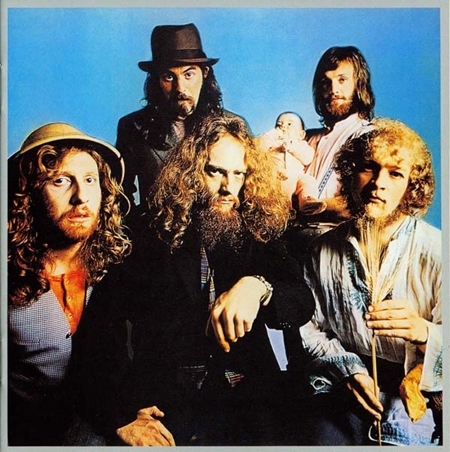 By their second album “Stand Up” (1969), Jethro Tull already sounded like nothing else in rock. That album became the foundation from where they evolved. At a time when rock groups were confusing greatness with loudness, Anderson steered his band through organic, subdued arrangements that grew on the listener rather than punch him in the face. It was bold music with strong hints of what we now call prog-rock. Anderson’s focus on timing, his relentless demands on the musicians, his almost mathematical calculations in concept works like “Thick As A Brick” and “A Passion Play” gives him a certain kinship to Frank Zappa. “Living In The Past” sums up the band just before they entered a pretentious phase that was a wee bit too inaccessible for some (me included). Sides 1 and 2 are chock-full of wonderful singles. They are playful and adventurous, but always built round strong choruses and quite often guitar riffs that nails them to your brain. Anderson’s merry flute gives the songs their distinctive fingerprints. Personal favourites are “Living In The Past”, the double A-side “Teacher” / “The Witch’s Promise” and the melancholic and beautiful “Inside”. Side 3 captures the band live at Carnegie Hall, 1970, working their way through two long tracks with lots of space for improvisations that are not that interesting to be honest. But as a time piece I accept it willingly. Side 4 delivers the amazingly cool “Locomotive Breath” (what a riff!) from “Aqualung” and the complete five-track EP “Life’s A Long Song” which shows the band from a subdued, almost unplugged side performing some of the finest ballads Anderson ever wrote. 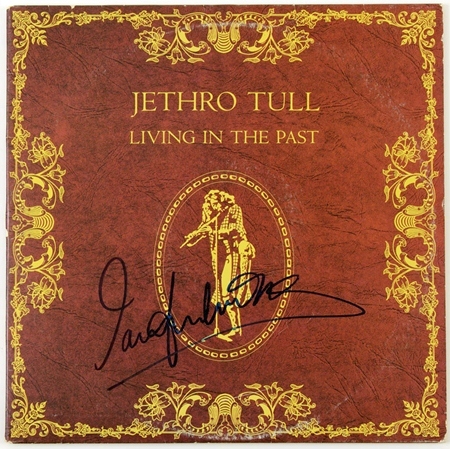 The album is an excellent summary of Jethro Tull’s first and most immediate phase. Phase two, the concept albums, had already started a few months earlier with “Thick As A Brick” and would be somewhat more difficult to deal with. Note: The US version replaces “Inside” and “Locomotive Breath” with “Alive And Well And Living In” (B-side) and “Hymn 43” (US # 91 1971).